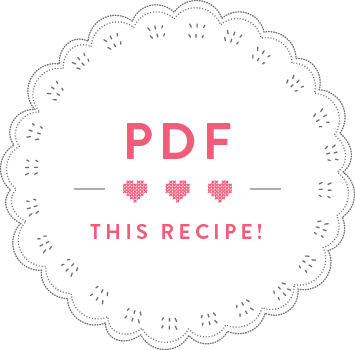 Ok, I love all foods and ingredients, but those who know me, know that there are a few ingredients that get me so psyched, that it’s really hard to restrain myself from using them in almost every recipe. Cinnamon, ginger, pumpkin and maple syrup rank really, really high on that list. So, when I was faced with a big leftover bottle of maple syrup (from a showcooking event I did for Eggo Kitchen), I got really thrilled with all the yummy possibilities this bottle could lead to. I quickly decided on baking. You see, I’ve just moved house (and country!) and I hadn’t tested my new oven yet. So, it was obviously a priority to test that crucial bit of equipment. The move had also enabled me to rediscover plenty of kitchen material that was hidden in the back of my London cupboards. Among them were a baffling amount of leaf-shaped cookie cutters, which I had collected on my trips to the US and to Japan. I’d never ever used them, so they’d been sadly dusting away, waiting for that special occasion that never came. ‘Enough!’, I said to myself, ‘you pretty cookie cutters deserve to be used!’. 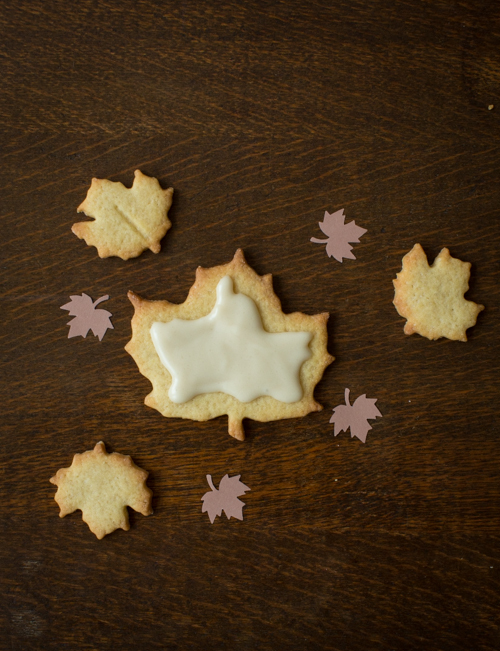 So, these maple leaf cookies were crafted. And boy, they taste just as good as they look! 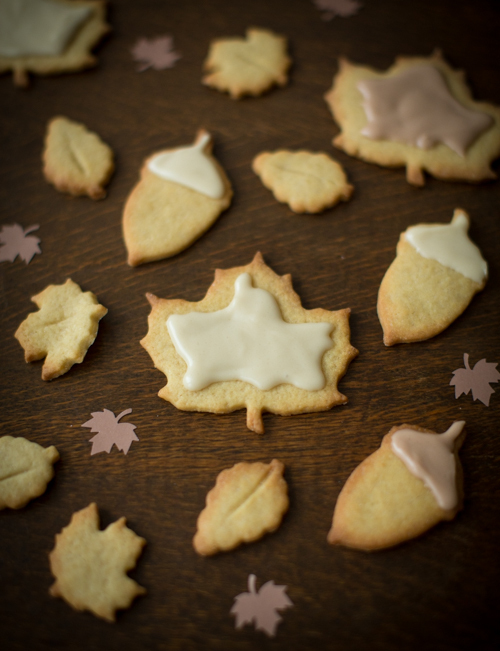 The perfect autumn cookies! Cut the butter into cubes and put into a bowl with the sugar. Beat until creamy. Add the maple syrup, egg yolk and sugar and beat until fully incorporated. Gradually add the flour and work into a smooth dough. Divide the dough into four parts. Flatten each part into a disk, wrap in cling film and refrigerate for 2 hours. After 2 hours, preheat the oven to 170°C fan. Dust your work surface with flour and thinly roll out one dough disk. 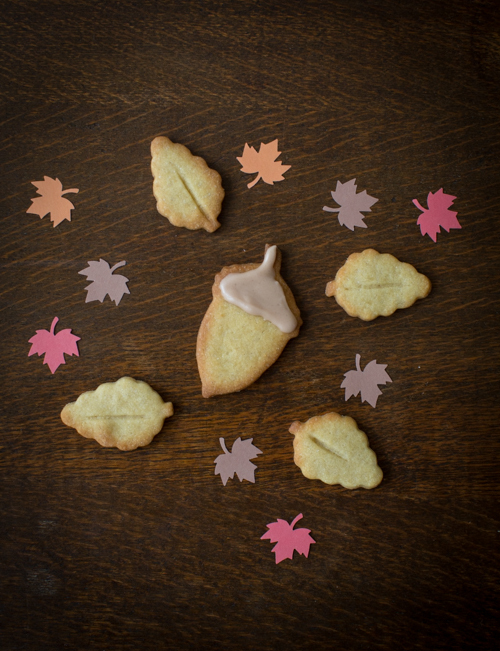 Cut out cookies using leaf-shaped cookie cutters and place them onto a baking tray lined with baking paper. Bake the cookies for 12 minutes, until golden around the edges. Transfer onto a wire rack to cool. 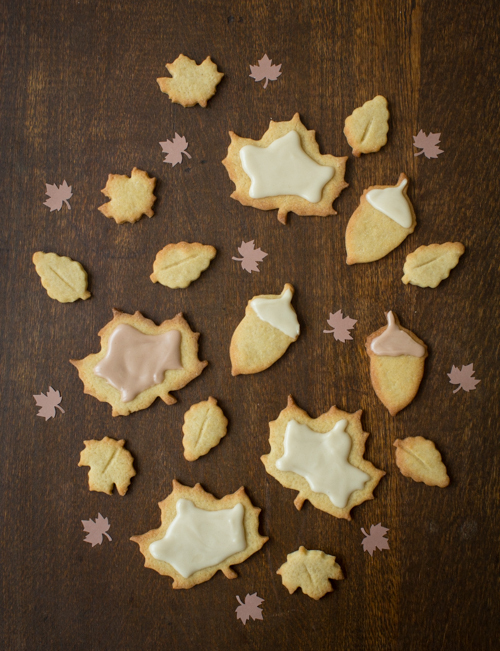 Once the cookies are cool, prepare the icing by mixing icing sugar with a bit of maple syrup until it has a thick and not too runny texture. 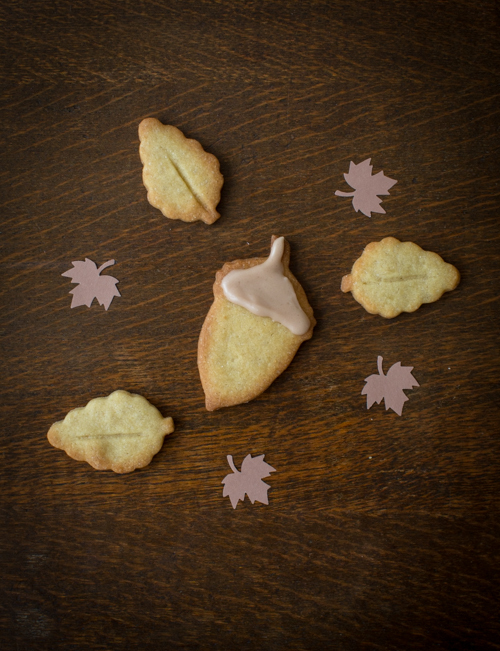 Spread a bit of icing onto each cookie and leave to set for a couple of hours before serving.